Is Manifesting Fast? Slow? Does it Work? Thank you, Gary for your revealing story. Manifesting does not always happen as we expect it, nor in a straightforward fashion. In Gary’s case, he was always moving toward his manifesting goals even if it didn’t look like it at the time. I’m glad he stayed with it and passed his story on to us. 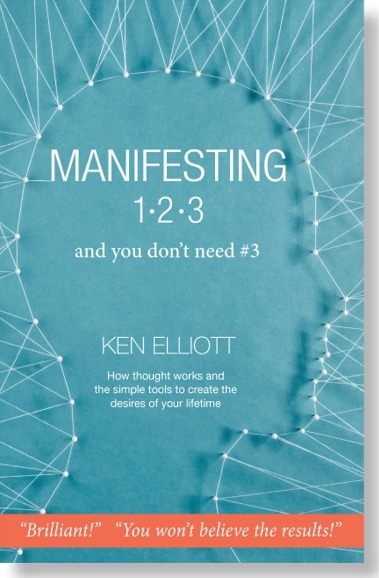 Hi Ken, well my story … I believe this story started about a year ago when I moved to the Taos, NM area.That’s when I had my first reading of Manifesting 1,2 3. I’ll have to say that I wasn’t sure how and what to think about what I was reading and how to put it into practice. My first Taos place was a small house on a very dusty dirt road, I felt in my heart that it wasn’t really right for me. Long story short, I got evicted when after 2 months for asking my landlord to fix the back door so that in case of a fire, I had another way out of the house. He replied “Your lease is broken, you ask for too much.” This was my start of manifesting. I had to move into an Airbnb for $100. a day for 27 days, I knew this wasn’t what I wanted in my life and future. I now had every incentive to perfect my manifesting. I believed I could get this right, but I needed more understanding. Using the instructions in the book, I saw myself in a future of my making, the movie as I read about, with me in a Taos-style house with a wonderful view of Taos mountain, and oh yeah, a detached studio with lots of natural light. After much looking, I found what I thought I had visualized in my movie. I felt I had finally been able to manifest my house. I read and reread your book, all the time thinking had realized my ideas. Well, just after I had moved into the house and studio, I asked a beautiful woman that I knew to come live with me in my new home, and she did for 2 months.This was a part of my manifesting as well. I met her i Paris in 1993 had kept in touch with her. At the time, I was teaching with the Santa Barbara City College abroad. I thought I’d been successful with my manifesting, but alas, we couldn’t live together and she moved to Nebraska. Part of my movie was that she would do the computer work necessary for an artist and I’d do my art and handle the shipping. There was still something to my manifesting my partner because she continued to do my computer work, a very nice thing for her to do. Apparently, my manifesting movie was still working but in ways I couldn’t see coming.One morning I went out to my studio and there was water pouring out the front door. Inside, almost all of my printmaking career was under water, 435 prints were now completely wet. Once again I thought, “What’s happening here?” I went back and doubled down on my manifesting, concentrating what I thought I needed to do. I had to destroy those prints and when I did, I viewed my studio even better than I had first seen it. The prints were taking up a lot of space and not actively selling. Once I could see more open studio space, I began to finally understanding what I needed to do! My movie was finally coming to me. I have to tell you this wasn’t an easy thing for me. With a bit more space, I finally got to paint in the studio and all seemed to be falling into place. I felt like I could ease up on my manifesting and enjoy what I had attained. THEN, while I was being complacent with my house, which is built on a slab, a water pipe blew out and I had to get 2 plumbers over to fix it. They had to dig through the foundation to find the broken pipe and repair the leak. I began visualizing my house being repaired and it was, but with one problem. My insurance company told me that it was my responsibility to maintain the pipes and they were not going to pay for fixing it. AGAIN, I went back to manifesting to counter this and subsequently, they dropped my policy,Afterwards, when I hired a lawyer, they reinstated me, but I still had to pay for the plumbing repairs. So this manifesting is working it seems, but not in exactly the way I would have planned it. I began to visualize that in my movie that this too will pass, that my art would become more popular and that I was finally enjoying life again.Did I get all the bugs out of the house? Yes. Did I have the money to pay for it? Yes. Things were looking up so I began to visualize further, putting an addition onto my house. It has been a journey, but it seems my movie is coming to fruition.I now believe my manifesting to be spot on. I believe I have reached what my movie was trying to get me to realize – what I truly needed and wanted in my life and I am now living it. I know I can’t stop manifesting. The new addition should be finished in a couple of weeks.